75 Elliot Street in Brattleboro VT. Turn right at Canal St/US-5. Continue to follow US-5 for 1.3 miles. Turn left onto Elliot St. Hazel is on the right in one block, parking garage on left. Turn right at Main St/US-5 for 0.1 mi. Then turn right onto Elliot St. Hazel is just one block down on right, parking garage on left. 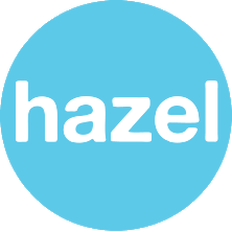 You can park right in front of Hazel to pick up your takeout order. If you are going to stay a while (and we hope you do), parking can be found along Elliot Street, in Harmony parking lot, or in the huge indoor parking garage right across the street.